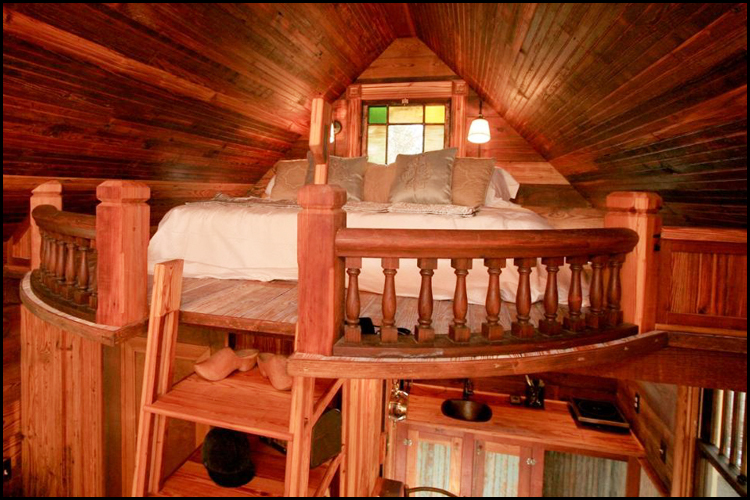 Wouldn't this be a nice place to hunker down for the evening!? This must be one of the more grand cabin lofts I've ever seen. It looks pretty inviting. Not only is it beautiful, I think they made great use of the space too. And they have some small sconces for lighting above the bed which is perfect for some bedtime reading. There are some interesting sconces at this website, such as snowshoes or even paddles.